One of the perks of visiting my sister is that I always walk away with clothes she no longer wants. It is an environmentally smart move as it reduces fashion waste and gives my wardrobe an update for next to nothing. It is a win for everyone, including the planet. I have written before about my love for clothes swapping with The Clothing Exchange. Did you know The Clothing Exchange has moved online as well? This is awesome for people who do not live in cities where the hosting usually takes place. As someone who grew up in the country I understand the torment of missing out on city based events. But that was before high speed internet. So when the Clothing Exchange got in touch with me about Global Sharing Day I knew I had to talk about it here. Global Sharing Day is about creating awareness for the sharing community. Run by The People Who Share, this UK based group want to make sharing fun, easy and accessible whether it is online or on land. June 1 is Global Sharing Day. 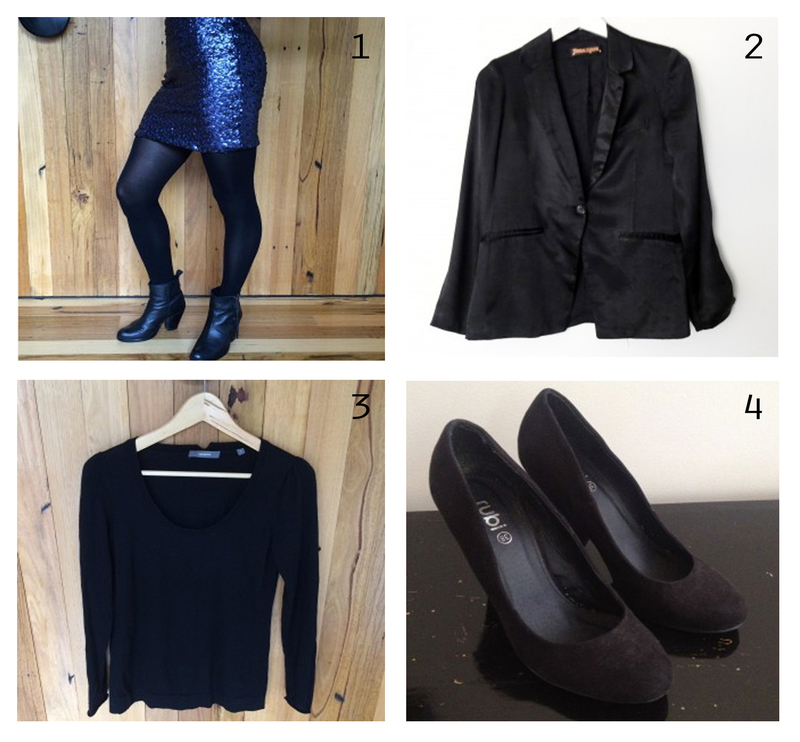 As part of Global Sharing Day, The Clothing exchange has generous prizes to encourage sharing. From 1 – 5 June (starting this weekend) listing items on The Clothing Exchange will be free. A prize of 20 buttons will be awarded to the swapper who lists that most items over this period. Buttons are credits that swappers can use to purchase items from the online. I have picked four items below that I would buy with my 20 buttons. Check them out. Additional prizes will be awarded for the most attractive garment listing and the first ten people to register on Global Sharing Day. Want to know more about the promotion? Click here! If you are a fan of the odd hashtag here and there, then you could win a button! Use #swaptoshop to share The Clothing Exchange on Facebook, Twitter or Instagram and you will earn one virtual button to spend. Don’t forget to share this with your eco savvy fashion friends. It feels like more than month since I traveled to China with the builder. My knowledge of China was limited to a trip to Hong Kong years ago. Beyond photos of the Great Wall of China and frequent dim sum lunches while I lived in Sydney I really had no expectations. In fact they were low and in my mind I imagined everything to be engulfed by smog. That is not to say we did not visit cities cloaked in smog (because we did.) But it was quickly forgiven once you realise how much of that is a result of our western consumer driven culture for affordable goods demanded yesterday. I was aptly reminded that every action has a reaction and reaffirmed my desire to continue buying only second hand goods. But I am not going to go on that tirade…instead I have a few photos to share because China is beautiful. We were surprised by the calmness that rests in the countryside beyond those big cities. We only dipped a toe into the country but fell so in love that we will hopefully return to explore beyond Yangshuo. I will come back with a breakdown of travelling (again!) with a no plastic aim (there were some hiccups) and our eco accommodation. Not so long ago I wrote about Ryman Eco sustainable font that was created to use less ink. 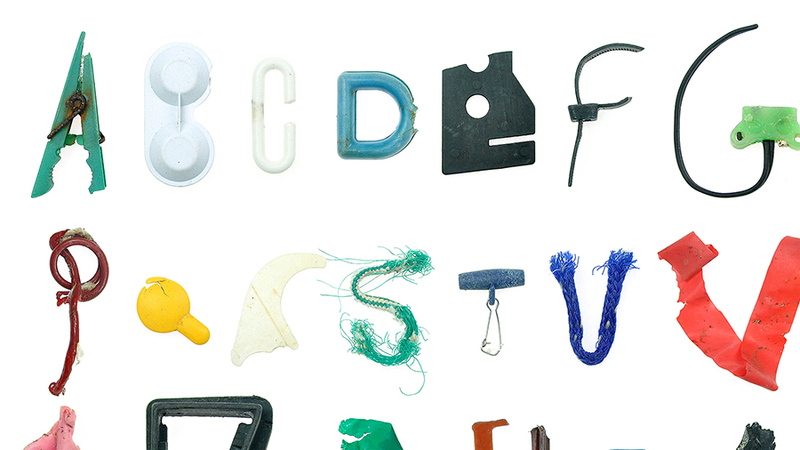 Now a new font project by Dion Star highlights the ongoing problem of plastic trash in our oceans by using found pieces of plastic that represent a letter of the alphabet. Graphic Designer Dion Star’s typeface is aptly named Marine Debris Typeface. Once Dion has collected all 26 characters he will release the finished collection as a typeface. Have you found any design or artwork inspired by plastic trash? Have you ever started out on a diet or committed to an assignment, but given yourself one day off to make the diet/task not too hard? Or picked a day of the week where you give up something, like meat on Monday? Hong Kong airport was filled with advertising encouraging visitors to choose a meat less dish on Mondays. It is a great initiative to get people integrating more vegetables into their weekly diet, with ease. Ever thought of doing that, but instead have a plastic free day? Now you can and it’s called Plastic Free Tuesday. Making small steps so that a major commitment is more enjoyable is a sensible choice. I am all about doing things with ease and making shifts like giving up plastic requires some ease at the start. Their website offers tips from plastic free pioneers from around the world. They are also across the social media realms so check them out and share your advice. If you have a friend or that is interested in embarking on a plastic free life but don’t know where to start send them here. Hopefully there will be posters in Hong Kong airport encouraging Plastic Free Tuesdays in the not too distant future. Do you think you could give up single use plastic one day each week?